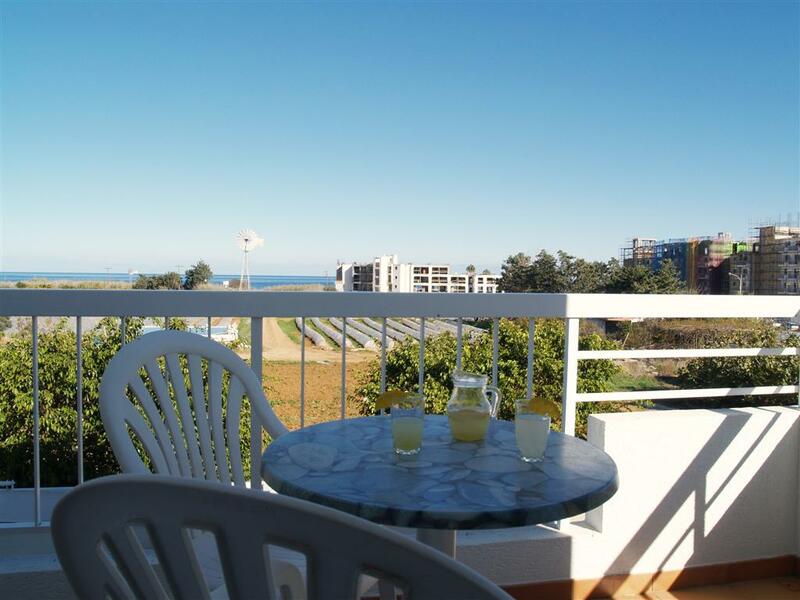 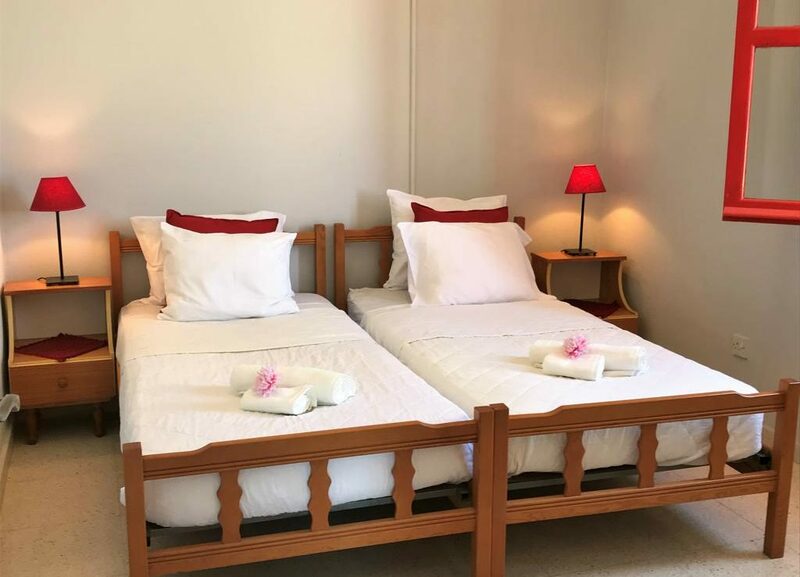 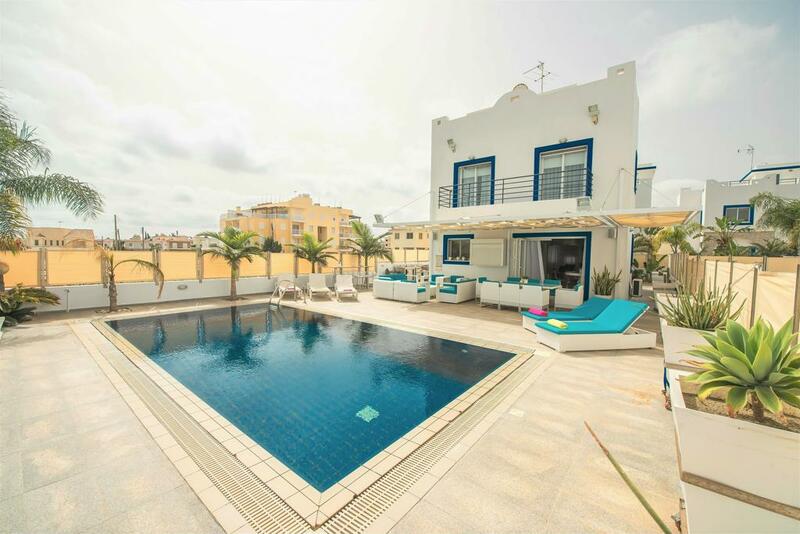 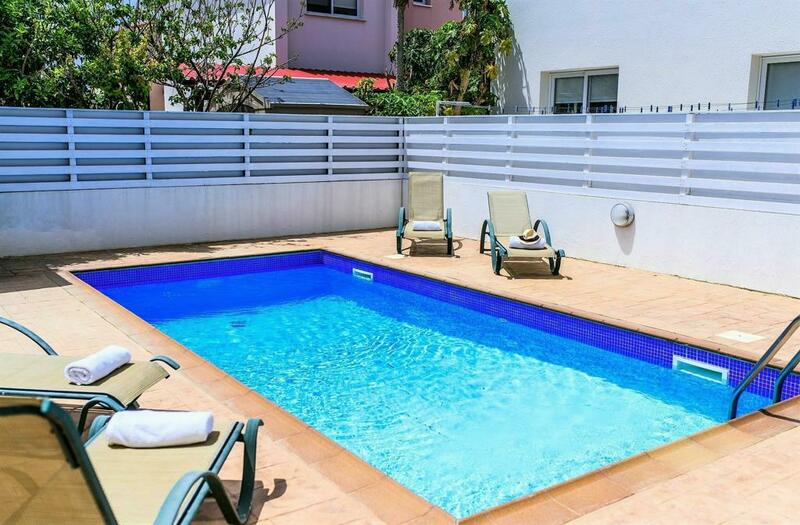 Cherry Holiday Apartment is a cozy two bedroom apartment, suitable for families or a group of friends. 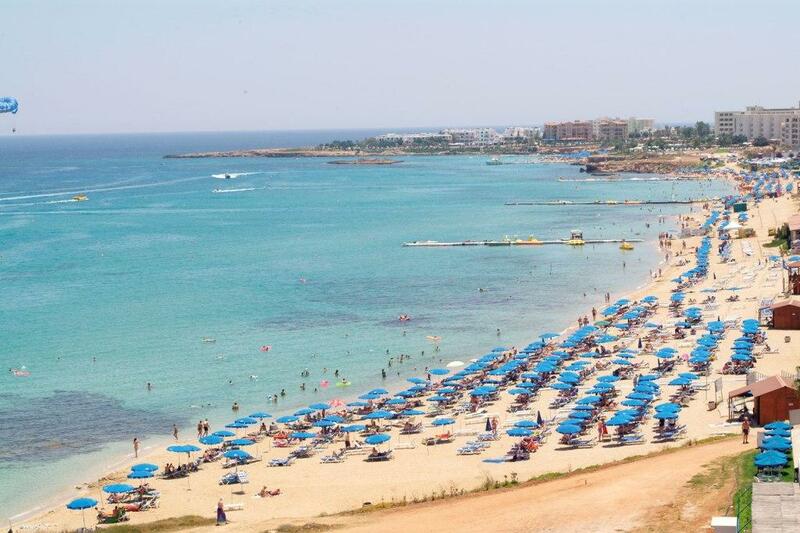 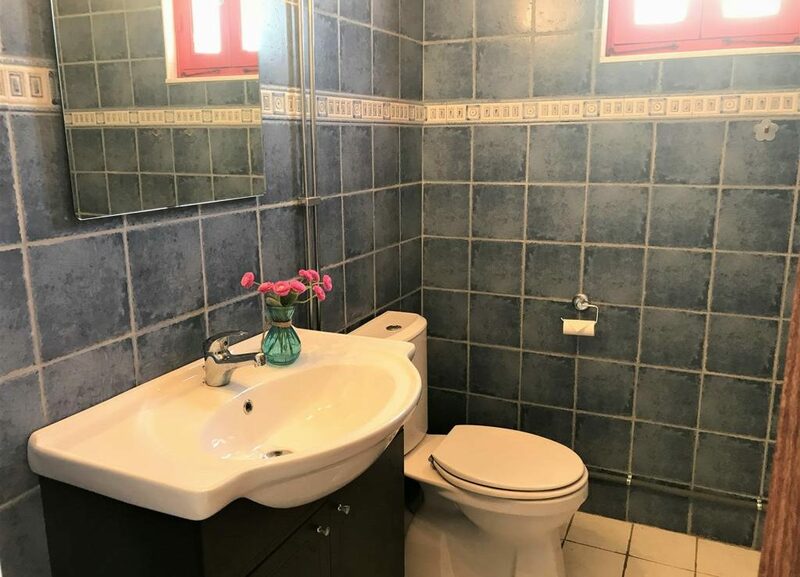 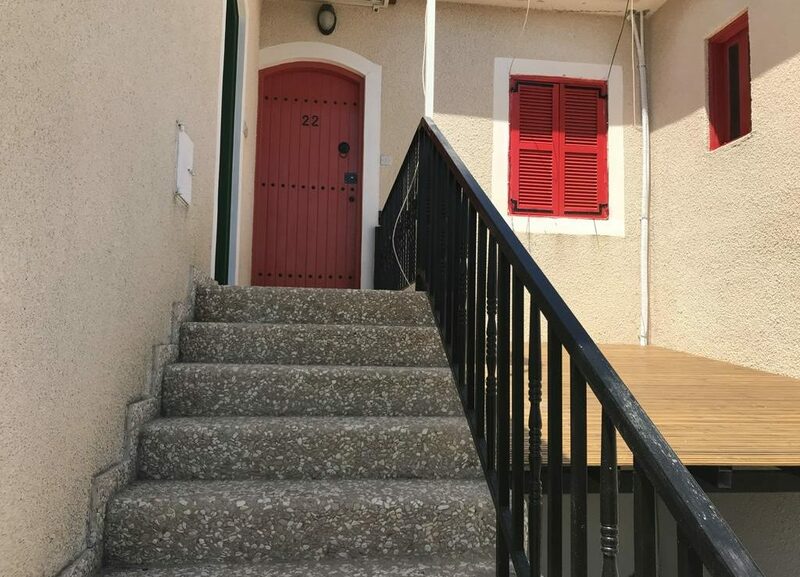 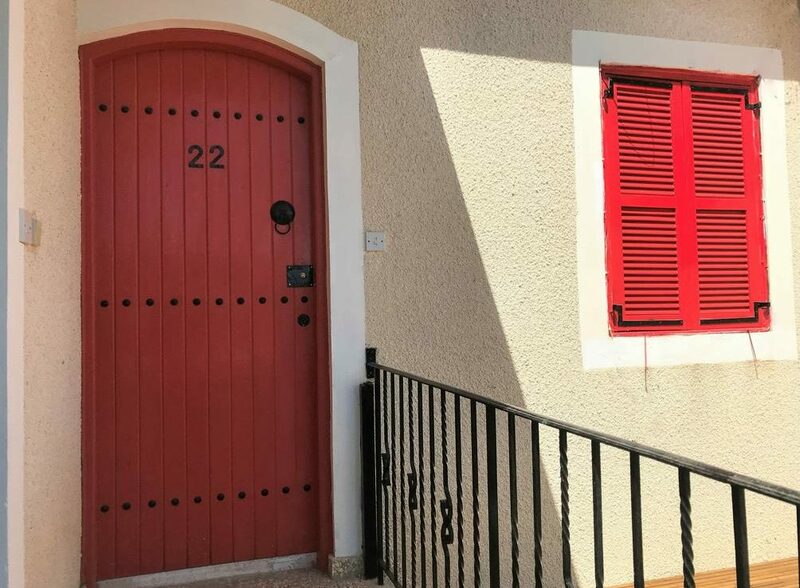 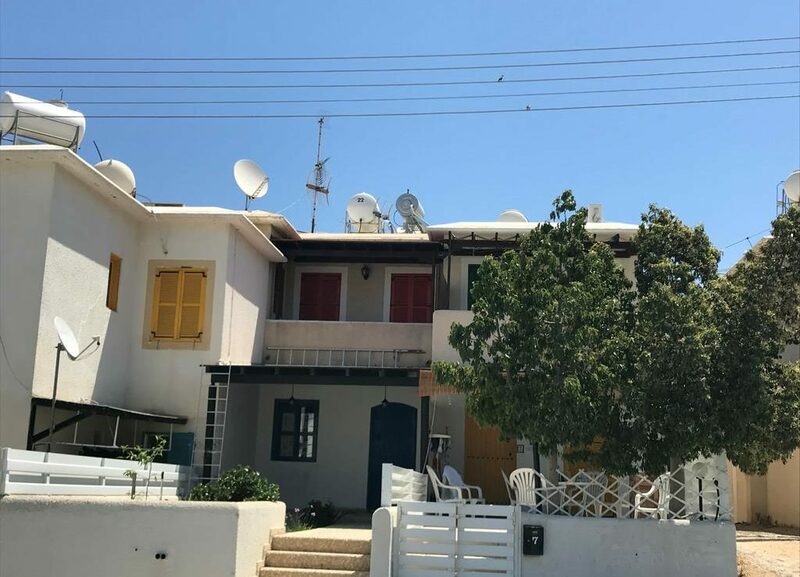 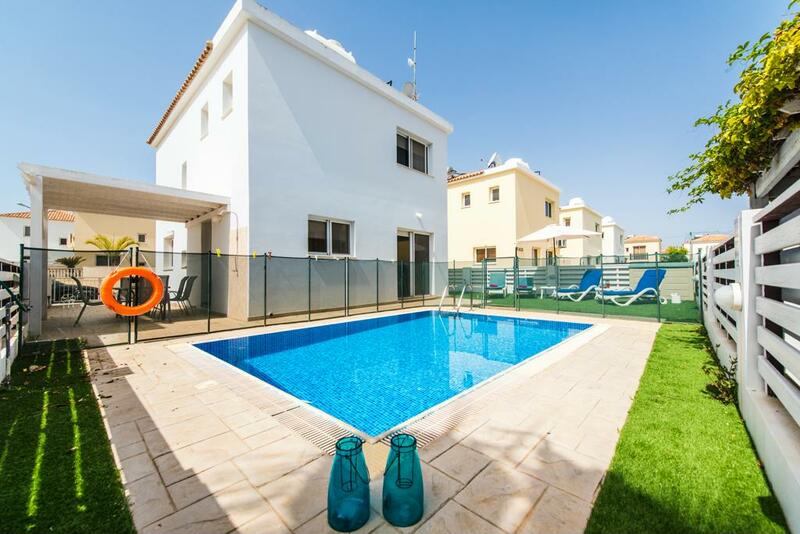 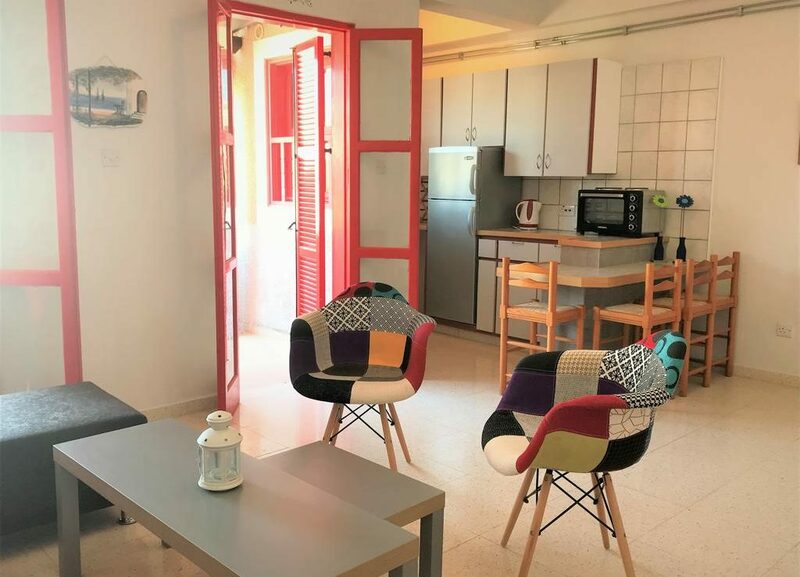 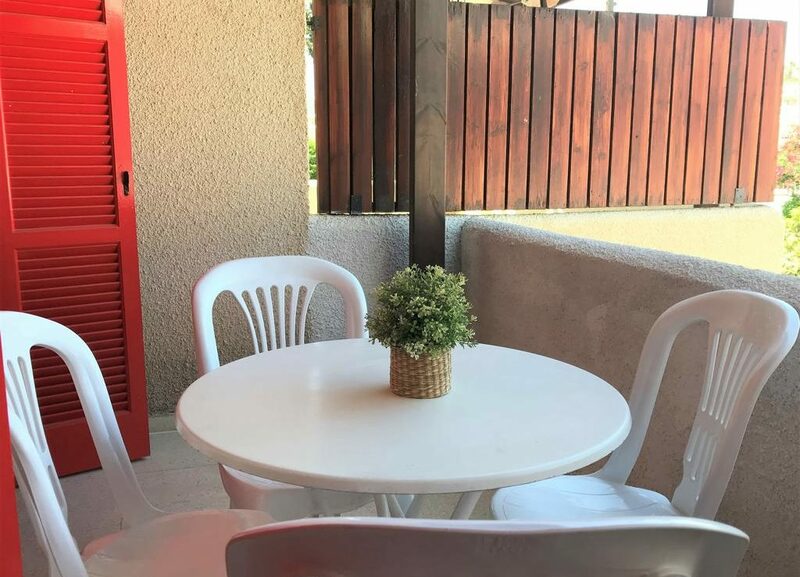 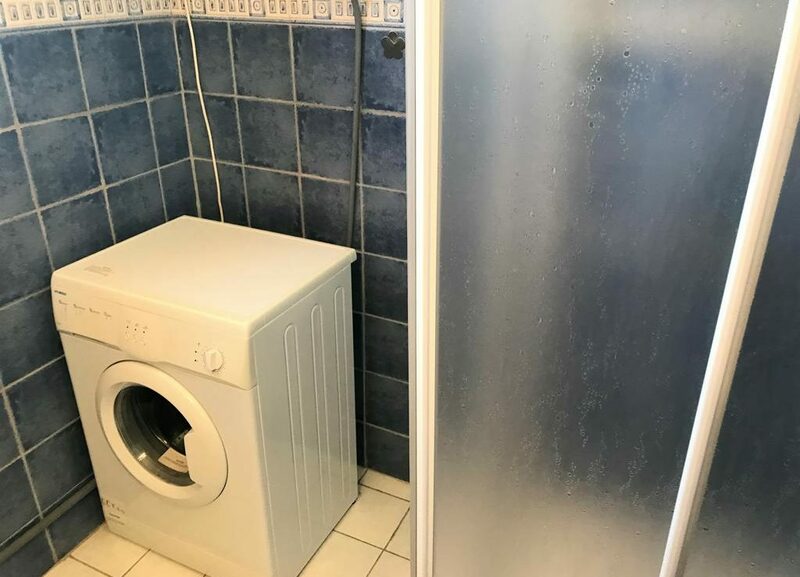 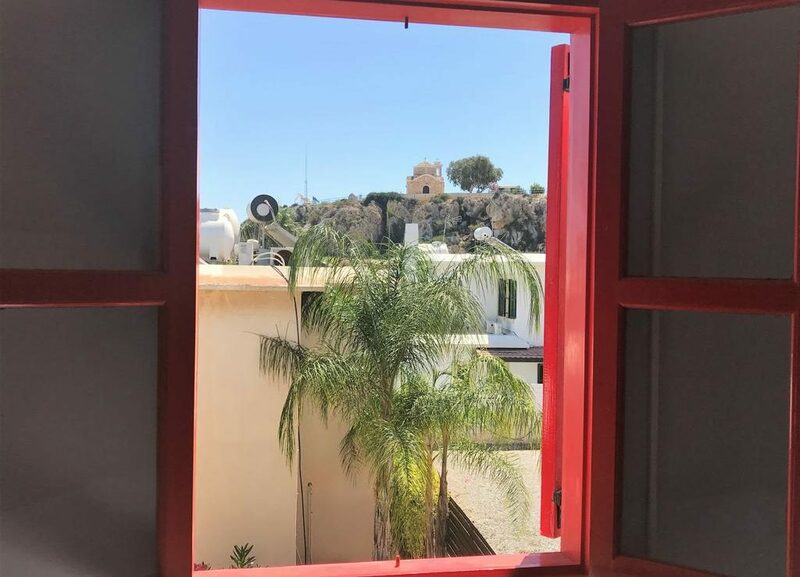 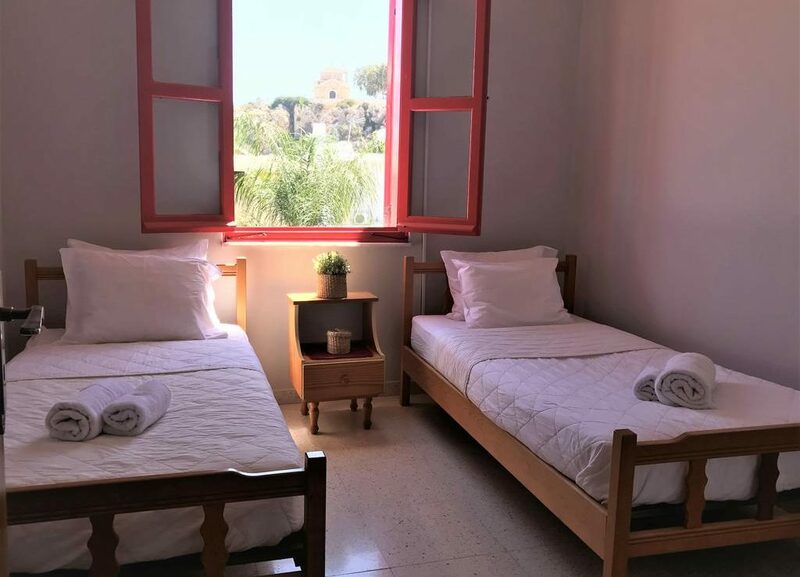 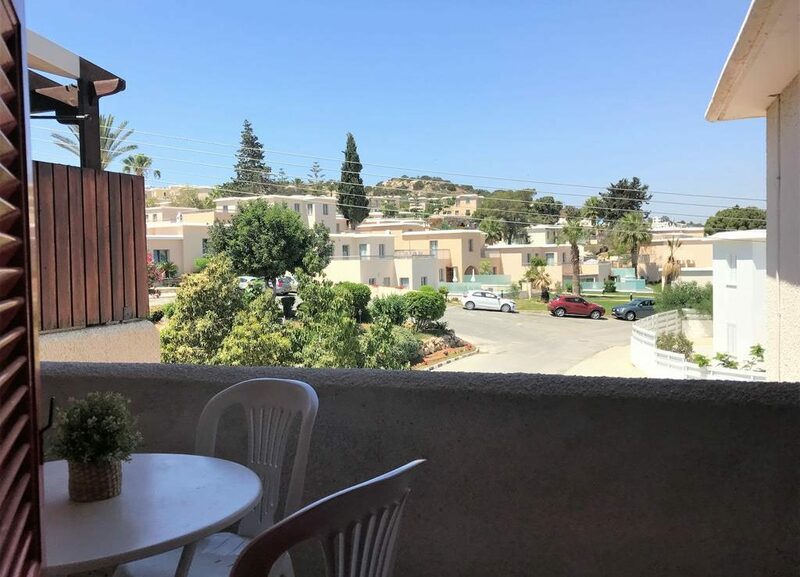 It situated on the first floor of a traditional complex, located in a quiet area near Saint Elias Church with close proximity to Protaras main strip with all amenities, bars, restaurants and beaches. 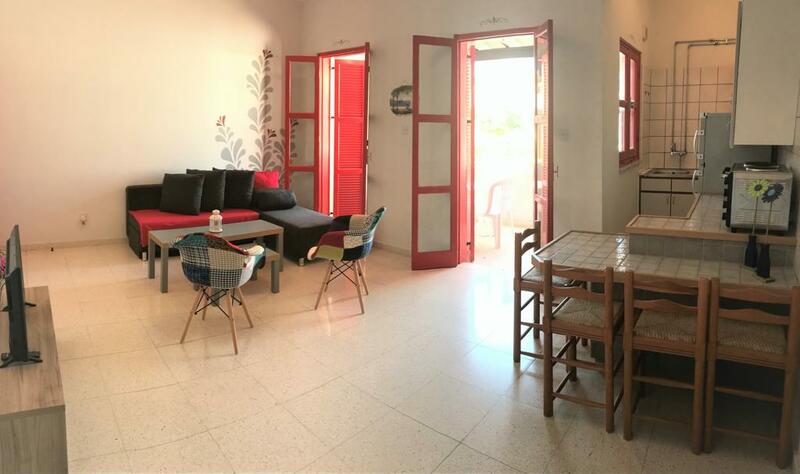 The recently modernised interior renovation is accompanied with the traditional exterior of the complex. 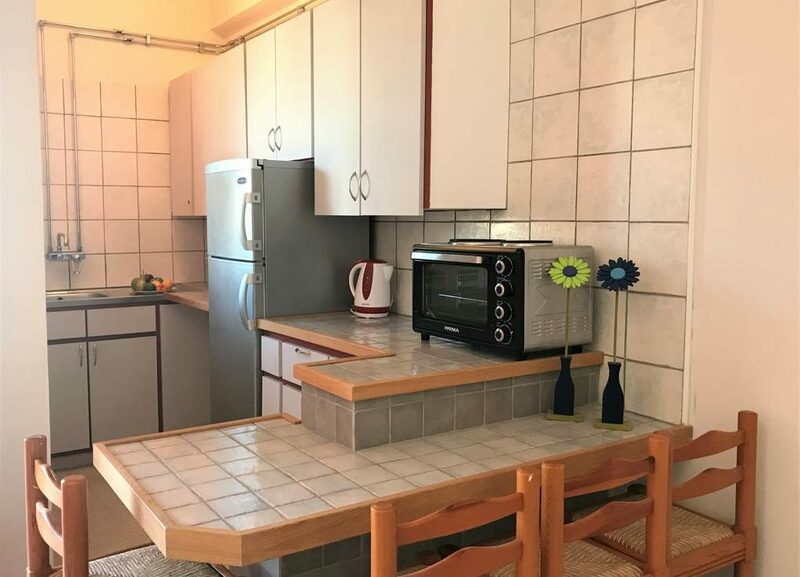 The apartment features an open plan living room, kitchen providing all kitchen wares and a mini island bar with four stools for dining. 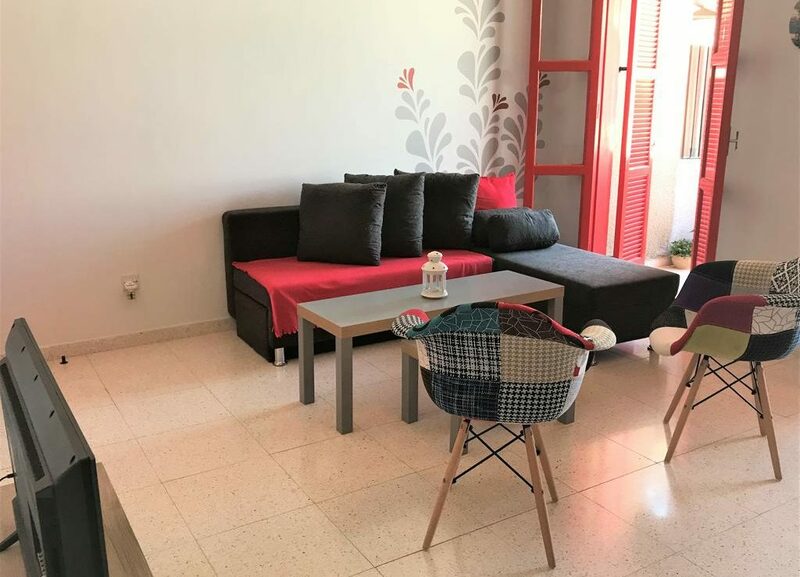 The lounge area is equipped with a sofa and two chairs. 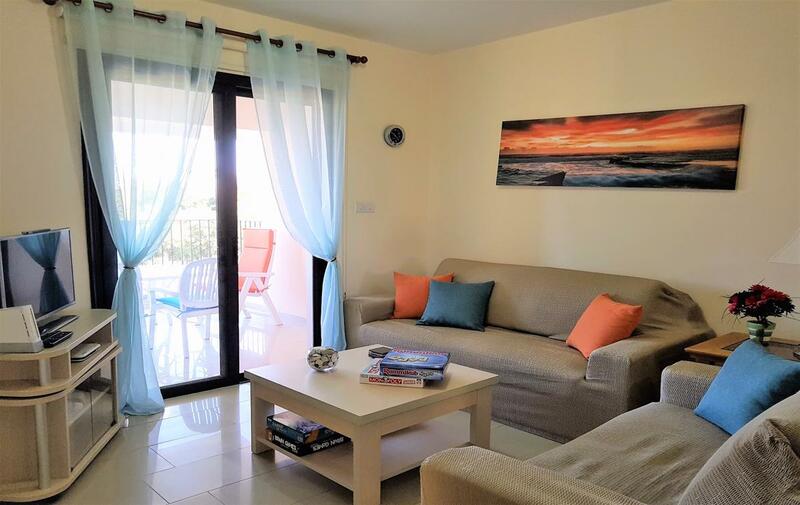 Free Wi-Fi and flat screen TV will entertain your evenings. 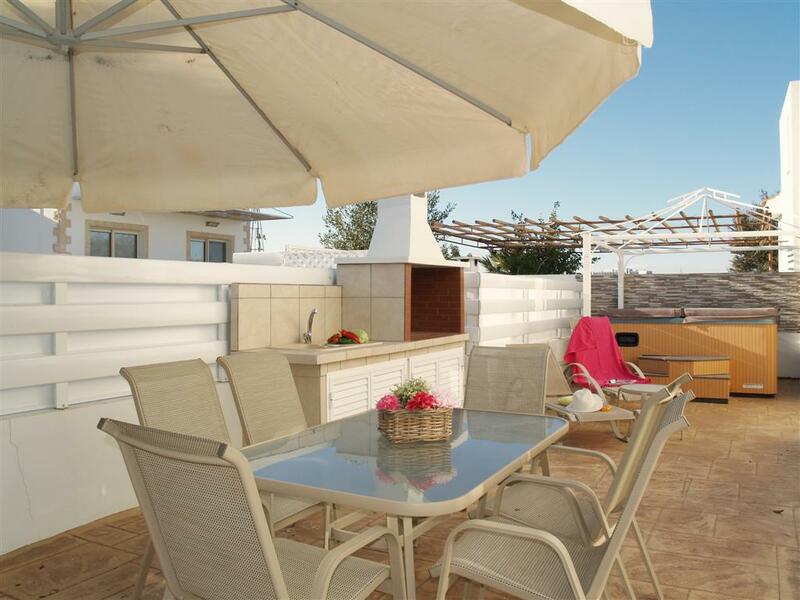 Next to the lounge area, a small covered balcony with outdoor dining furniture is provided for relaxing moments.